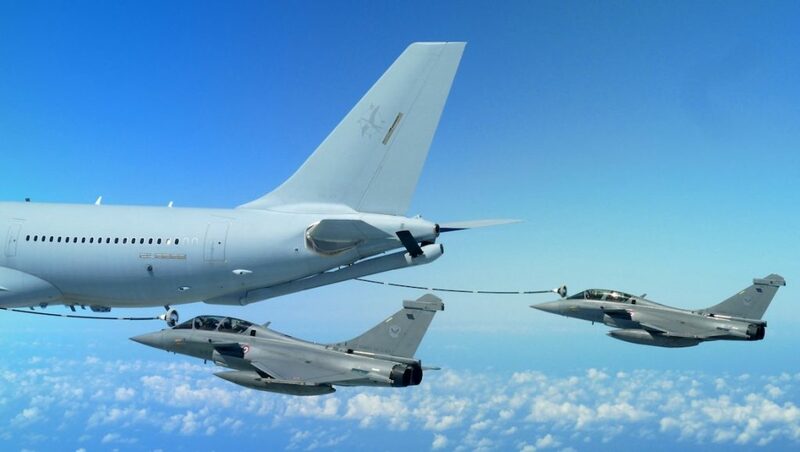 French Dassault Rafales, Indian Sukhoi Su-30s and Thai Saab Gripens are among the foreign aircraft to have deployed to the Northern Territory for the Royal Australian Air Force’s major multinational large-force employment exercise Pitch Black, which kicked off on Friday. The 2018 edition of Exercise Pitch Black features up to 4,000 personnel and up to 140 aircraft from 16 participating nations. 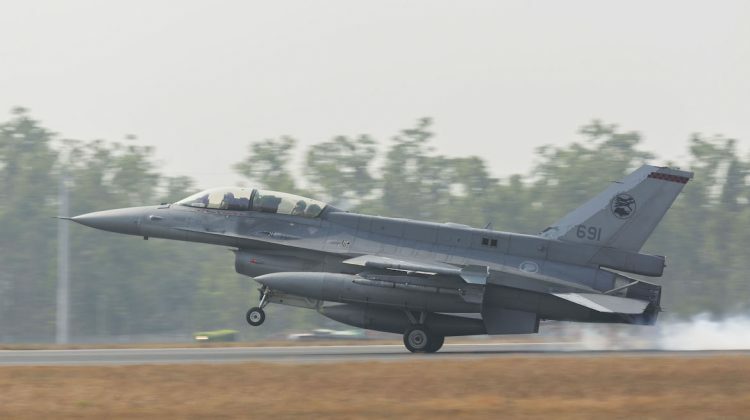 It runs until August 17 and is being held at RAAF Base Darwin and RAAF Base Tindal, as well as Bradshaw Field Training Area and Delamere Air Weapons Range. It is the biggest Exercise Pitch Black ever conducted. 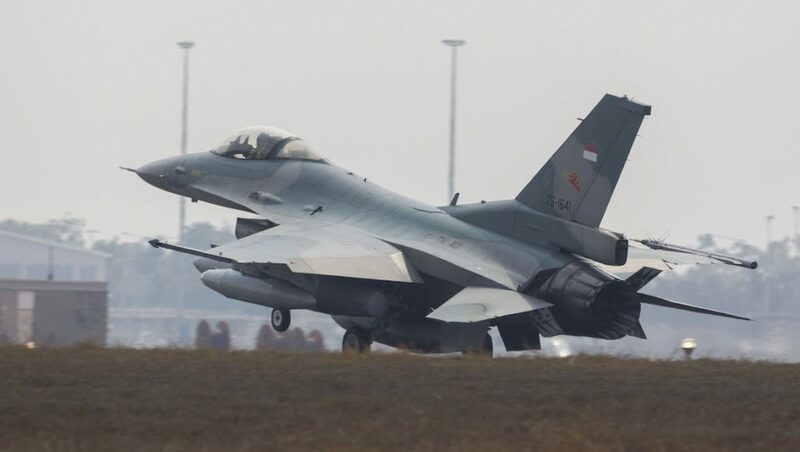 Held every two years, Exercise Pitch Black aims to “further develop offensive counter air, air-land integration, and intelligence, reconnaissance and surveillance capabilities, as well as foster international co-operation with partner forces”. 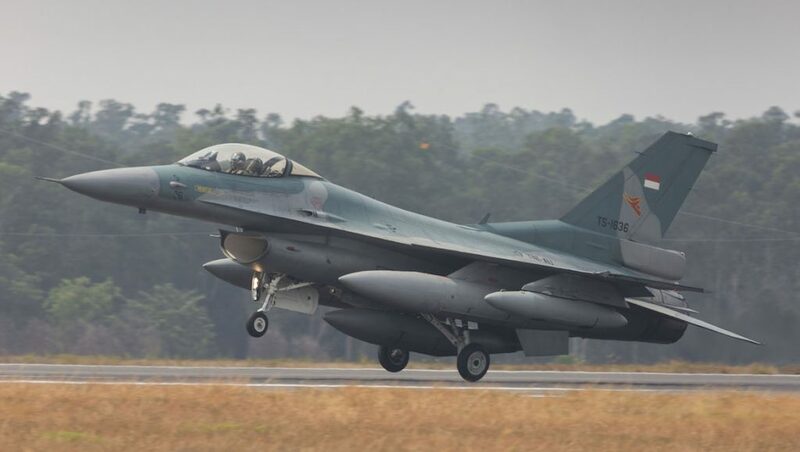 Further, the RAAF described Exercise Pitch Black as “pivotal to ensuring Air Force remains ready to respond whenever the Australian Government requires”. “The training and integration of forces that occurs during this exercise directly supports Air Force’s ability to conduct operations,” the RAAF said on its website. Canadian CC-130 Hercules, French Dassault Rafale, Indian Sukhoi Su-30MKI, Indonesian F-16, Malaysian Airbus A400M, Singaporean F-15, Thai Saab JAS 39 Gripen and USAF Boeing B-52 Stratofortress aircraft are among the 140 participating types to have come to Australia. #PitchBlack2018 : Indian Air Force, Air Superiority Fighters SU-30MKI landed at Darwin, Australia, today at 1200 hrs Darwin local time . Meanwhile, participating RAAF aircraft includes the F/A-18F, E/A-18G, C-130J and KC-30, among others. RAAF Commander Air Combat Group Air Commodore Mike Kitcher, the Officer Conducting Exercise Pitch Black, said the first week would comprise “force integration training”, comprising smaller, relatively simple missions designed to get the difference forces used to operating with each other. 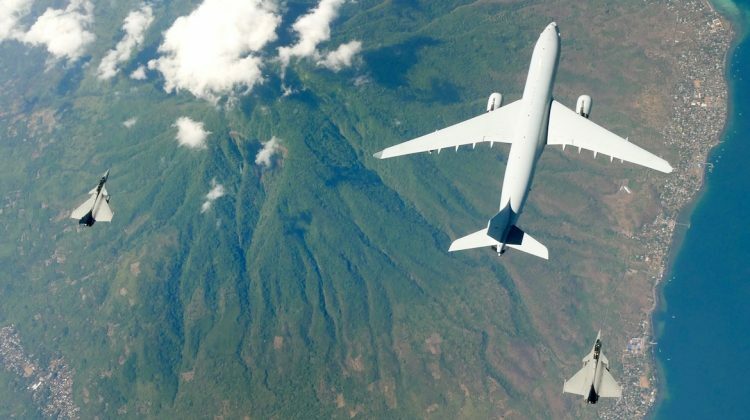 “Week two and three build gradually in a deliberate fashion to larger missions where we might have up to 100 aircraft involved in a particular mission,” Air Commodore Kitcher said at RAAF Base Darwin on Friday. 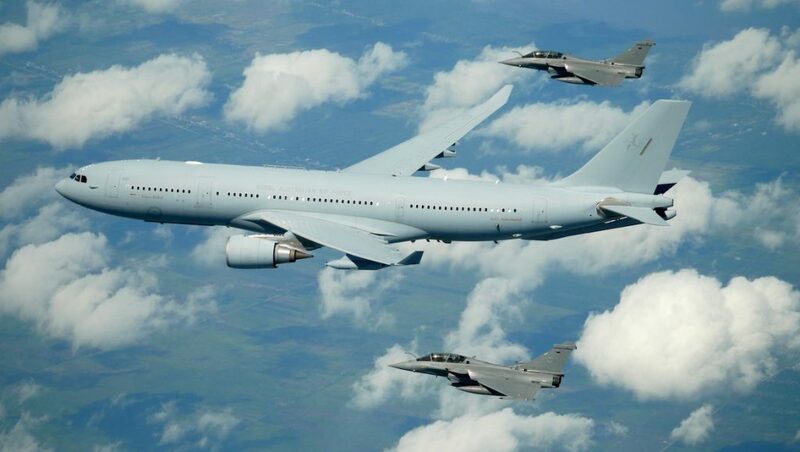 “That mission might be for example escorting some strike aircraft around Delamere to strike at a target. That might be escorting a C-27 or a C-130 or a C-17 or another aircraft into Delamare to pick some people up from on the ground or to drop some people off. Also, Batchelor Airfield would be used for practicing humanitarian relief and disaster assistance type activities. Crew TUDM membuat 'pit stop' d Bali, Indonesia dan membuat Air to Air Refueling semasa penerbangannya diteruskan ke Darwin dr Bali. TQ pasukan sahabat @_TNIAU utk hentian seketika. Air Commodore Kitcher noted Australian Defence Force participation in operations around the world were typically in coalition with other nations. As such, being able to practice with other nations was really important. “Exercising in as realistic a scenario as we present in Pitch Black allows us to actually learn from each other,” Air Commodore Kitcher said. While the RAAF’s F-35As are not present at the 2018 Pitch Black, Air Commodore Kitcher said the aircraft was a chance to be in the 2020 edition of the event. “They may participate in a very small way in Pitch Black ’20 but by Pitch Black ’22 they will be participating definitely,” Air Commodore Kitcher said. Air Commodore Kitcher said the missions would be noisy, particularly in Darwin. However, aircraft departure and arrival procedures have been designed to minimise the noise, with schedules available on the RAAF website. 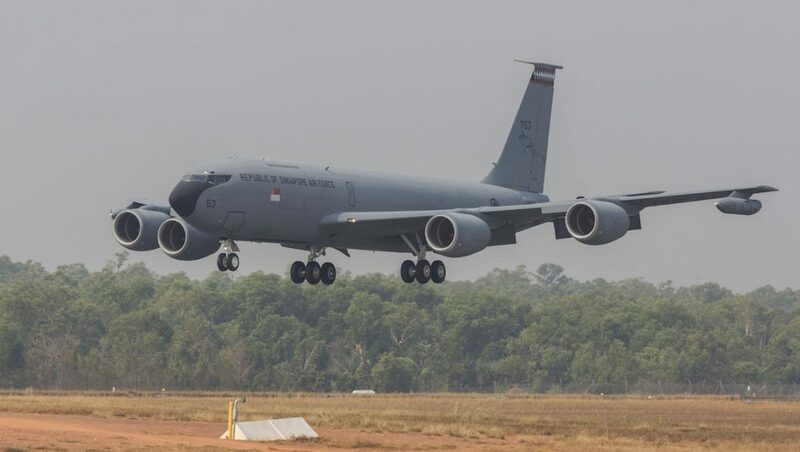 “The best way we can minimise noise for especially the Darwin community and the Katherine community is to get the jets on the ground as quickly and efficiently as possible and that’s what we do with our procedures by day and night,” Air Commodore Kitcher said. In addition to the exercises, a flypast and handling display at Mindil Beach, Darwin is scheduled to occur on August 2. There will also be an open day at RAAF Base Darwin on August 4. VIDEO: A wrap up of the 2016 edition of Exercise Pitch Black, as shown on the RAAF’s YouTube channel. A full list of aircraft participating in Pitch Black can be found on the RAAF website here. Great to see the Top Aces are there as well – causing havoc with their Alphas.